What’s an Appraisal and Why Does It Matter? This is the eighth article in our series called, Love Selling Your Home: Minimize Your Stress, Maximize Your Profit, Dwell Residential’s step-by-step guide to selling your home. Our series takes you through the entire home-selling process — from finding a real estate agent to settlement day. Just because your home is under contract doesn’t mean it’s time to celebrate just yet. Your home needs to be appraised, and the results could sidetrack the entire transaction. The sale of your home can’t move forward until the appraisal is done and the lender has given its stamp of approval. That’s why this is an important and sometimes stressful step in the closing process. You don’t want the appraised value to come in lower than the contract price. If so, the lender won’t approve a loan for more than what the home is worth. That means that the price you’ve set for your home is not going to happen! 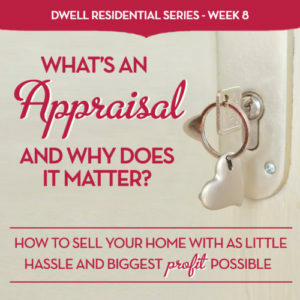 What is an appraisal? An appraisal is an unbiased professional opinion of a home’s value that the lender will use to determine if they will lend money to the buyer of your home. Usually the lender will order the appraisal but the borrower will pay for the report. Don’t confuse this with a home inspection, which is entirely different. Appraisers are not home inspectors looking for leaky roofs, testing appliances, etc. Your buyer will need to get a home inspection after the appraisal comes through. Why does it matter? The lender wants to make sure the buyer is not over borrowing and that this is a sound investment for them in case the buyer defaults on the loan. It also wants to ensure that this home exists and is habitable. If you’ve got an all cash buyer, you won’t have to deal with a bank or appraisals at all. That’s a big plus as a seller. What does it entail? An appraiser will tour the home and make notes about how it compares to other homes that have recently sold nearby. A licensed appraiser’s report is much more detailed than a comparative market analysis and is the only valuation report a lender will use. The valuation is based on market trends, supply and demand, time spent on the market, and it takes in consideration any extenuating factors such as upgrades or something like being on a higher floor or end unit. It also considers home’s condition, location, and features. The report also will include statements on any issues that may hurt or help the property’s value. Since it’s never an “apple-to-apple” comparison, the appraiser will make adjustments to the appraisal for some features of a home — a finished basement, a coveted view, updated appliances or HVAC systems. Remember, however, some improvements don’t add as much value as you would like … such as a new half bath, landscaping, etc. For a condo unit, an appraiser will consider the number of units in the condominium community, how many are on the market, and how many were sold recently. The most weight is given to homes that have sold in the same building since buildings are so different, even in the same neighborhood. The appraisal process went through a change a few years back when the Home Valuation Code of Conduct was passed. This law was meant to make appraisers more independent and not “hired” by the real estate agents, or the buyer, or the seller, or the bank handling the transaction. But in some cases, appraisers may not be local to the area where they were appraising homes, especially when appraisal management companies are involved. That’s when here’s been some questioning of how well these appraisers know the neighborhoods and the “true” value of a home when an appraisal comes in too low. Make sure your home looks in “show-shape” at the time of the appraiser’s visit. Even though your home is under contract and you may want to go back to living “normal” again, for this one day, make sure the house looks as perfect as when you put the home on the market. Provide comps to the appraiser. Have your agent meet the appraiser and provide the comps used to price the home and/or support the price that you received, especially if you received multiple offers and the price went higher than your asking price. Make a strong case, especially if your home is priced higher than most homes in the neighborhood. Also, if you put a lot of upgrades into your home, list those out, including the cost of each item and outline that for the appraiser in writing. Question a low appraisal. Carefully review the report to make certain nothing was overlooked or is inaccurate (see more details below). If an appraisal comes in lower than the contract price, it may mean the end of the sale with this particular buyer. However, there are steps you can take to help avoid this and to move the sale along. It might be worth the time to work with this buyer rather than start all over again, but you just might have to do that if many of these actions below don’t work. Provide details on any home improvements to the appraiser so nothing is missed. Your agent can contact the lender so they can connect with the appraiser who is hired to evaluate your home. It’s better to do this before the appraisal but don’t let these important details slip by! Ask to review the appraisal to see if any adjustments were made, especially if you submitted information to the appraiser. A lender has to comply with the request within 30 days. Appeal the appraisal for a reconsideration of the value of the home. Provide the comparables you and your agent think better represent the home’s value and why. You will need to show any discrepancies between the appraisal and any improvements or unique features of the home. Ask for another appraisal, but you would have to pay for it. However, if it’s an FHA loan, an appraisal stays with that home for 6 months so you can’t ask to switch lenders or get a new appraisal. Buyers, on the other hand, could switch lenders and start over with a new appraiser. Ask the buyers if they are willing or able to pay for the higher contract price and make up the difference themselves. Some buyers may be willing or able to make a larger down payment. If it’s a tight market, the buyers may feel the pressure to pay since there could be another buyer in line who is able and willing. 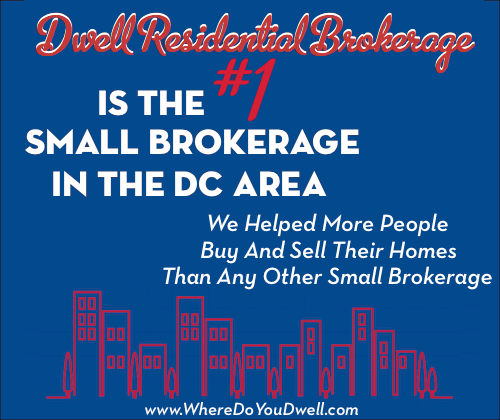 Renegotiate with the buyer and offer a lower sales price or pay for closings costs. If you don’t have any other potential buyers, you may need to make such accommodations so that the sale does go through. Stay tuned for next week’s ninth article of our Love Selling Your Home series! Pre-Closing Tasks to Check Off Your List will provide a handy checklist to make sure you get it all done and even tell you what to expect from the buyers (such as an inspection). You don’t want your deal to fall through if you forget something or miss important paperwork.